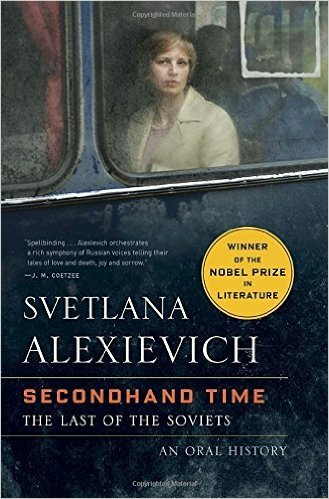 Svetlana Alexievich has raised oral history to an art form and while the voices lack the rawness and individuality of Studs Terkel’s pioneering oral histories of the USA, the experiences conveyed seem all the more vivid and shocking for their delivery in the author’s literary style. As a boy, I was struck by the darkness, drunkenness, violence and misery that dominated Maxim Gorky’s autobiographical trilogy and not a lot seems to have changed in a land where the suffering of ordinary people seems unbearable. As we survey the chip-on-the-shoulder Russia of today with its declining population, massive alcoholism, penury and in-your-face oligarchs, it is fair to ask if it could have been any different if the West had concocted some kind of Marshall Plan and engaged with the Russians when the USSR collapsed rather than engaging in asset-stripping and basking in schadenfreude. Maybe yes, maybe no. Perhaps the desire for a vozhd, a strongman, would have emerged anyway. But this book, with it painful personal stories of shattered dreams and sacrifice and the triumph of mammon over morality, helps to explain why Putin is popular with so many of his countrymen.